The cow painter William Henry Howe is seated on his folding stool with his back to the viewer in The Fox Chase. He stops painting long enough to watch the race in pursuit. The fact that Howe’s friends referred to his paintings as “Howe’s Cows” sums up his main artistic focus. Howe trained as an animal painter in Paris beginning in 1881 and continued to paint cattle for the rest of his life. His interest in painting cows was perfectly suited to Henry Ward Ranger’s invitation to join him in the country to stay at the Griswold boardinghouse. He and his wife boarded with Miss Florence that first summer and many summers thereafter. Being one of the first artists to board with Miss Florence, he was able to paint on one of the coveted doors in her parlor. 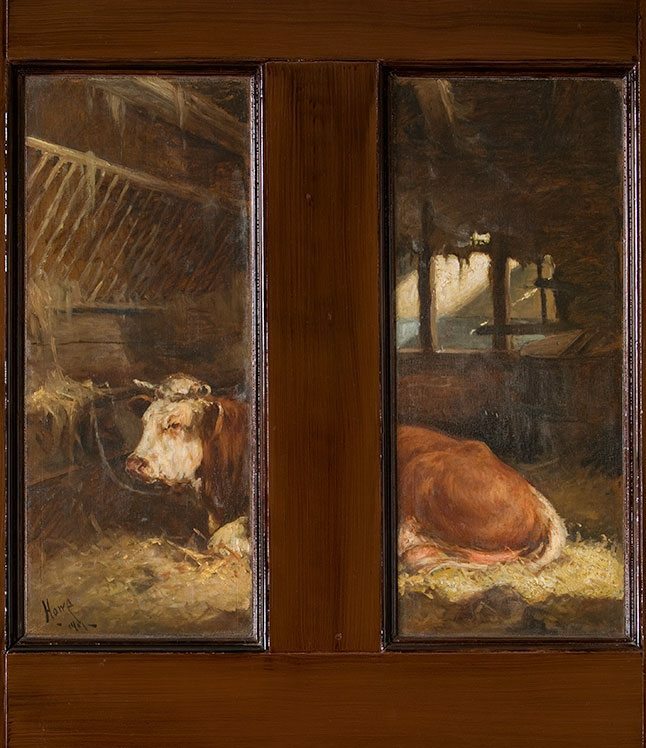 Filling two panels of the door (as if seen through a window), he painted Normandy Bull (Monarch of the Farm) (1901), a regally reclining cow in a stable filled with golden light. How little people know and realize what a student in art has to pass through in order to master his profession – the deep thought and patient labor to put upon canvas some event of daily life, or spot on this green earth. It is no play, but hard earned work – work that has no end. He was called “Uncle” by most of the younger artists and eventually encouraged his nephew Will Howe Foote, also an artist, to join him at the art colony. They both had studios in one of the barns across the road from the boardinghouse. 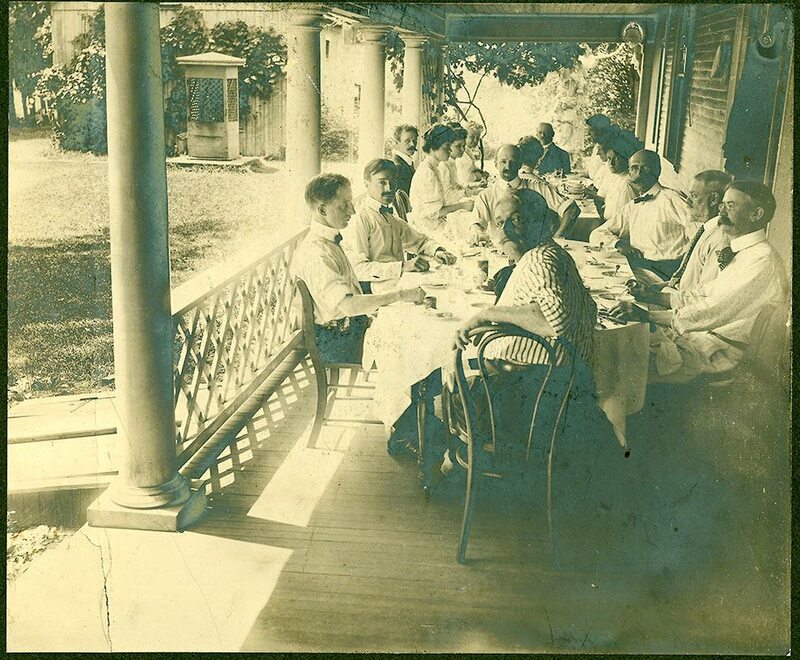 Because of his age and great knowledge of animals, he was given the task of carving the meat at the dining room table. One evening, the younger artists hid a ring that Howe had lost at the beach inside a fish knowing he would find it while carving. He was stunned when he heard the metallic clink of the ring against his knife. After a few moments of thinking this was the same fish that had swallowed his ring he became wise to the prank. 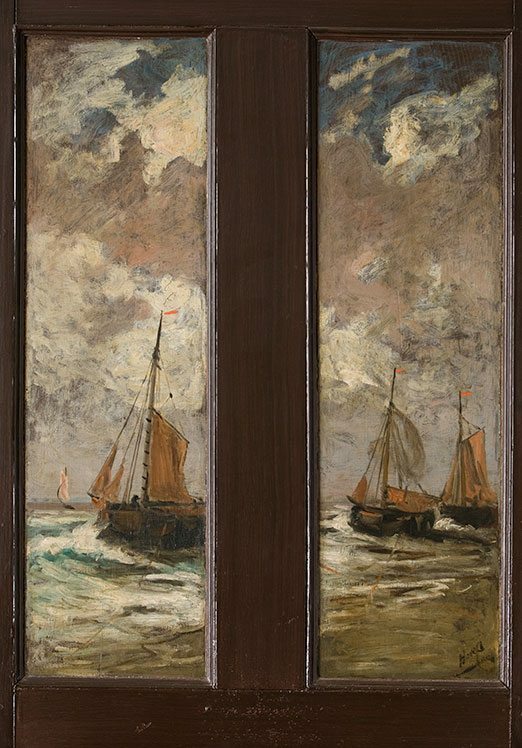 Despite his love for painting animals, Howe chose to paint boats on the door leading from the dining room. 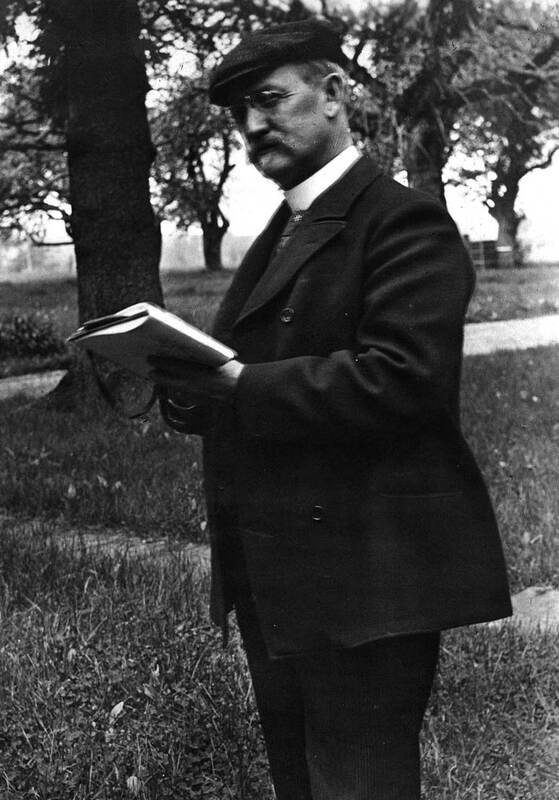 During the early years of the art colony, Howe’s paintings sold well and his work was accepted into the collections of several museums. Howe painted his cows, bulls and oxen in their natural habitat and after some close calls with these unwilling models, he always saw to it that his easel was behind a stone fence. Howe was not merely one of the artists to appear in The Fox Chase, but also somewhat of an uninvited collaborator. 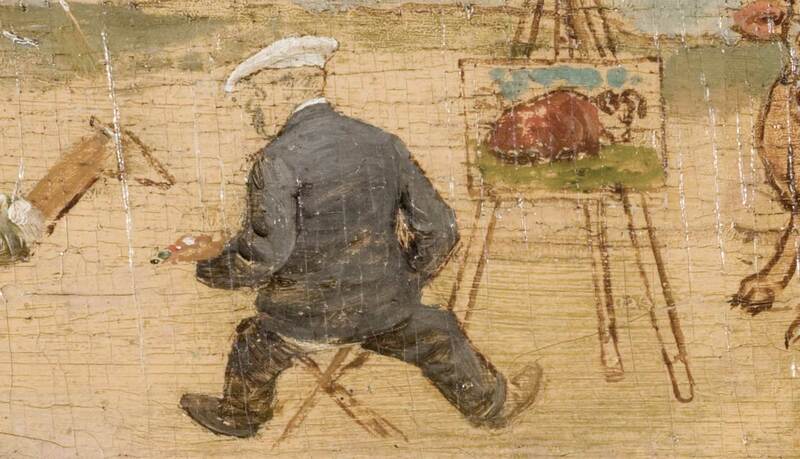 After Howe’s dog Weeksie (also on the panel) died, Howe asked Poore to paint a rock over him, claiming the image of the dog made him too sad to eat. He also scratched out the face of fellow artist George H. Bogert with a penknife after learning he allegedly did not pay his board bill. Fortunately for Bogert, the original artist Henry Rankin Poore painted his face back in years later.